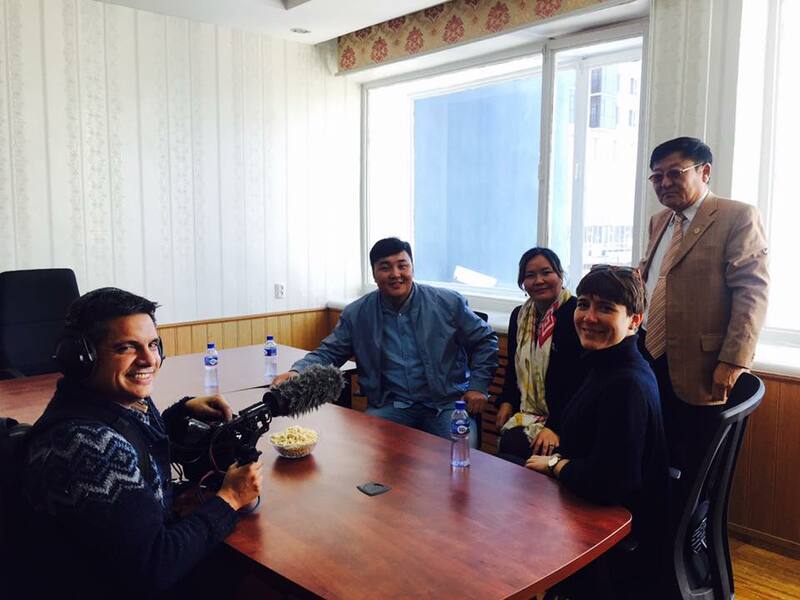 Collaboration with the BBC 4 Radio documentary crew "From the Steppes to the Stage"
Making of a radio documentary "From Chinggis Khan to Covent Garden" (working title) for BBC Radio 4, based on Honorary Artist of Mongolia Ганбаатарын Ариунбаатар, while covering the musical scene as well as history and landscape of Mongolia. The project was kindly supported by the BBC, the President of Mongolia, Ministry of Foreign Affairs of Mongolia and MIAT (Mongolian Airlines). 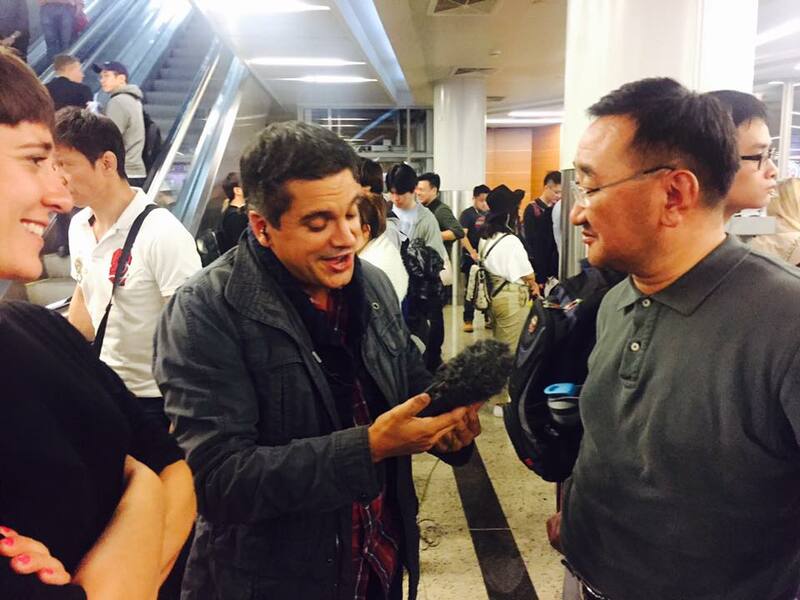 The extremely talented BBC Radio producer Steven Raja and his wonderful colleague, music journalist for Guardian and BBC Radio Kate Molleso made this happen by getting the programme commissioned after hearing Mongolian talents Amartuvshin Enkhba, Ariunbaatar Ганбаатарын Ариунбаатар and Batjargal Bayarsaikha at the BBC Cardiff Singer of the Worl Competition. "We've been thrilled and honoured to discover the huge riches of music-making in Mongolia, and the beautiful landscape, history and culture that inspires it. Ariunbaatar's extraordinary operatic voice was our entry point into this world; yet our visit has also seen us hear Batzorig Vaanchig perform khoomei; Magnolian sing us his latest compositions; the founder of Dund Gol records show off his magnificent collection of vintage albums...and much much more! As a radio producer, it's such a pleasure to encounter such a vibrant and diverse country of music and culture. Our BBC Radio 4 documentary, presented by the music journalist Kate Molleson, will be broadcast early in 2018." "The reason we came to Mongolia was to make a programme on Ariunbaatar Ganbaatar, who charmed us at the BBC Cardiff Singer of the World 2017. We liked his personality and he had very interesting life story, so we decided to explore. We also wanted to discover Mongolia: what is happening in music scene, what music means to Mongolians and how people perceive Mongolia internationally. I am overwhelmed with openness of the contributors, sharing their thoughts and talking about an issue of identity, what it is being like Mongolian especially because the westerners understand differently. Everybody was thoughtful and articulate. There were so many surprises since arriving for a week, so many chance encounters. Everybody sings and they share love for Mongolian music. Music is really valued and I love a country where this is the case."